The Baldwin County Commission is currently mulling over an idea that could result in a $30 fee added to vehicle tag registrations as an effort to fund future road and bridge projects. 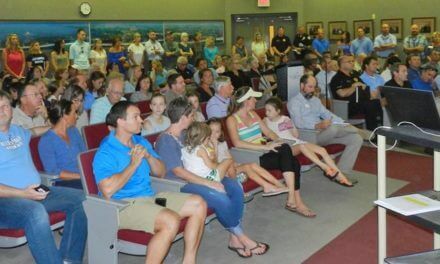 At this point, Baldwin County Commissioner Tucker Dorsey said the first step would be to see how residents feel about increasing the fee to help with infrastructure maintenance. There is currently no baseline vehicle registration fee in Baldwin County, as the cost to register is based on a vehicle’s evaluation. Before any additional fee could be added, it would have to be approved by Alabama’s legislature. As has been the narrative of Baldwin County in recent years, a growing population is the driving force behind the need for road improvements, according to Dorsey. The $30 fee would be initially aimed at alleviating traffic congestion through five road and bridge projects estimated to cost around $150 million collectively. Those projects would include: Building a third bridge over the Intracoastal Waterway, constructing an interchange at Interstate 10 and County Road 13, extending 20th Street to Canal Road, widening State Highway 181 between county roads 64 and 48 and widening U.S. Highway 31 between U.S. Highway 98 and State Highway 181. The commission believes these projects would address overcrowding at certain hot spots, but also lighten up traffic on several county roads people use to bypass traffic jams. Dorsey said when finished, these projects would “loosen up the traffic issues for majority of the county system south of I-10, west of the Baldwin Beach Express and north of Highway 98. According to U.S. Census data, Baldwin County has more than doubled in population since 1990, and Dorsey said the some of the roads in the county – including state highways – have not been adapted to account for the growth. However, according to Dorsey, the Alabama Department of Transportation (ALDOT) only earmarks $90 million for capacity projects each year, and it “would be a while” before a Baldwin County project could be funded entirely by the state. In turn, Baldwin County Commissioners have discussed setting up a matching agreement with ALDOT for the projects that could include a $75 million contribution from both entities over an extended period of time. Dorsey said Madison County struck up a similar deal with ALDOT to help fund some of its larger road and bridge projects. But even with help from the state, Baldwin County would still need additional revenue to get the ball rolling. Dorsey said that gasoline tax has typically helped pay debt service on previous projects, and said some of it was diverted in 2014 to help repair damages caused by widespread flooding. “If we continue to rely only on the gas tax, we’re going to find ourselves unable to do road resurfacing and road capacity improvements,” Dorsey said. The commission has estimated that the $30 fee on vehicle registration could generate an additional $6 million to $7 million each year, and Dorsey said those numbers would grow as more people move to Baldwin County and register their vehicles. According to Dorsey, there would be definitive wording in any bill submitted to the legislature requiring the any money acquired from the new fee be used only for road and bridge projects. However, the proposal before the commission doesn’t include an end date for the new fee, which would allow it to continue even after the five cited projects are completed. Dorsey said the problem of crowded roadways is a top priority and addressing it has support among all the commissioners. Other ideas have been floated by the commission including additional lodging taxes, raising the gasoline tax and possibly implementing a pay-as-you-go program similar to Mobile County. According to Dorsey, the commission is still open to any other equitable concept. He said there wasn’t a timeline on moving forward with the decision, but did say “at some point, we’ll have a bill drafted up and, if the delegation is willing push it, we’ll give it to them and see where it goes.